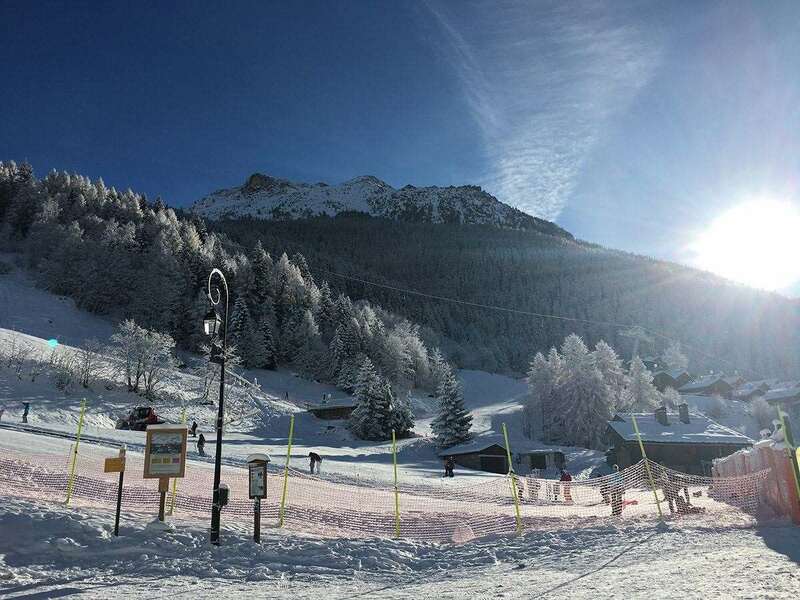 Sainte Foy ski resort is a typical picturesque alpine village nestled amongst the trees in a sheltered Southwest facing bowl, with breathtaking views across to Mont Pourri and the Aiguille Rouge Mountain Range. It is well positioned in the centre of the Haute-Tarentaise Valley, providing easy access to the vast ski areas of Val d'isere/Tignes, La Rosier/Le Thuile and Les Arcs/La Plagne. Unlike many neighbouring resorts, Sainte-foy remains unspoilt having lots of alpine charm and character, with no queues and uncrowded slopes. There are a number of excellent Restaurants, a lively AprÃ©s Ski Bar and a well stocked Supermarket for all your self-catering needs. Having skied in larger resorts such as Tignes and Val D'isere I assumed long queues for lifts and busy slopes were the norm, until I went to Sainte Foy! This small and beautiful resort has kept its charm with all new buildings built to traditional styles and materials. The slopes are well pisted and quiet, even in busy holiday periods. There are no long queues for lifts so you have more time to ski or snowboard. It is a family orientated resort, perfect for a child's first skiing experience. In resort there is a shop, bakery, 3 equipment hire shops, 2 bars and 3 restaurants (with 2 more at the top of the first lift open during the day and a spa. I have never been bored whilst in Sainte Foy but with Val D'Isere and Tignes only around 20 minutes away there is endless things to do. The area is famous for its off piste skiing and boarding and is very popular with locals, a comforting fact!! I couldn't recommend Sainte Foy more highly for a family ski holiday with young children - although I almost don't want to as part of the reason that it is so good is because it is quiet an uncrowded. Even on a peak week there were only occasional small queues. As the resort is small everything is within very easy reach and most properties are ski-in/ski-out - if you can't ski-out you will only be a few minutes from the lifts at most. There are only 4 chairlifts which was initially a cause for concern but for 2 intermediates not worried about covering miles and miles of piste each day, a 6 year old and an 8 year old, it was just right and there is some great and very accessible off-piste. All routes lead back to the village so there is no danger of getting lost and not being back in time to pick-up your young skiers from their lesson.